This play rug is a busy hub of activity! Cars race over the large roundabout, come screeching to halt at the traffic light or park by the side of the road. The fire department zooms around the corner with sirens howling! And the train carries its heavy load down the tracks between the train station and its destination. Here, children can play out their fantasies to their hearts’ content. 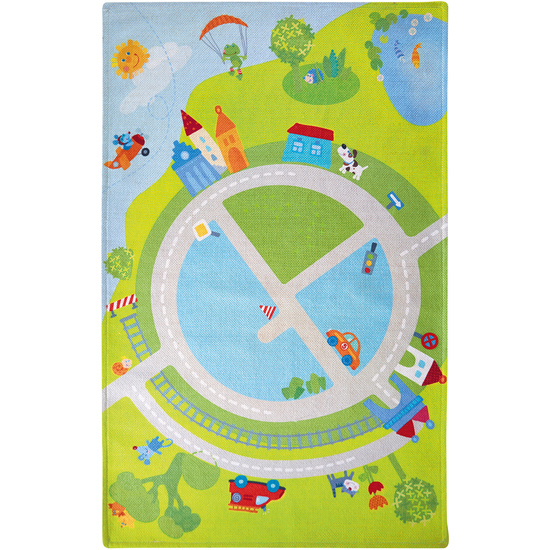 The Kullerbü play rug is wonderfully soft and is compatible with all Kullerbü cars.